Queensryche's first ever release, a four-track EP, re-released in 2003 with an additional ten live tracks, isn't anything I find particularly memorable. The main four tracks, the original portion of the record, are good, but not overly special. 'Queen of the Reich' and 'The Lady Wore Black' being the better two tracks. The musicianship and production are fairly standard of 80's metal, and are more reminiscent of the new wave of British heavy metal than the more prog-inspired style the band would later go on to adapt. The ten live tracks are a nice touch, but ultimately that's all they are, nothing more than "a nice touch". They don't really add anything to this release and are easily forgotten about. No doubt the band will go on to release some classic albums, especially in their early years, so this is mainly a disc for the die-hard Queensryche fans (if such a thing exists). Not very progressive yet, but already rocks! Before offering progressive albums like "Operation Mindcrime" and "Promised Land", QUEENSRYCHE started as a straight heavy metal worthy of all classic bands of its time. 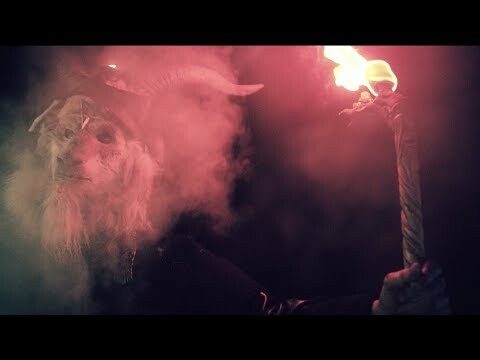 But instead of copying their neighbors who were writing the evolution of the genre, gathered between IRON MAIDEN and JUDAS PRIEST, they manage to bring something new to the heavy metal of the 80s', with a theatrical feel. This EP features their first efforts. The band really impresses on this first EP, shows their differences and announces future great albums. Highly recommended for 80's heavy metal fans! Geoff's voice is unbeatable. 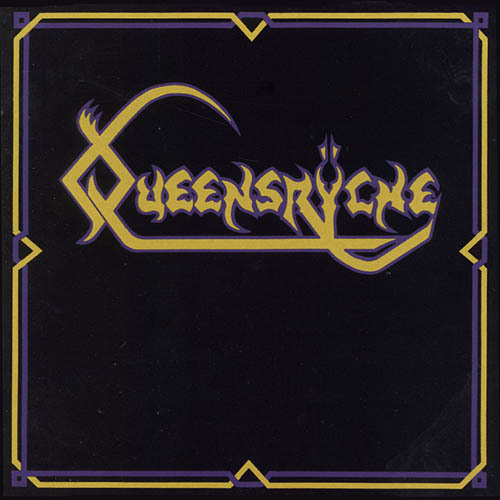 "Queensrÿche" is an eponymously titled EP release by US power/heavy metal act Queensrÿche. The EP was released through 206 Records in May 1983 in a very limited quantity (206 Records was the band´s own label), but was originally recorded as a demo tape in June 1982 when the band was still known as The Mob. Lead vocalist Geoff Tate was not a permanent member of the band at this point (he was in a band called Myth), and was therefore a session musician on this release. Shortly before EMI Records signed Queensrÿche in 1983 and opted to reissue the "Queensrÿche" EP, Tate became a permanent member of the band. Stylistically the 4 tracks (some later reissues feature the bonus track "Prophecy", which was written during "The Warning (1984)" sessions, but not recorded until the sessions for "Rage for Order (1986)") on the 17:31 minutes long EP are in a traditional heavy metal style strongly influenced by an artists like Iron Maiden and melodic early 80s heavy metal in general. 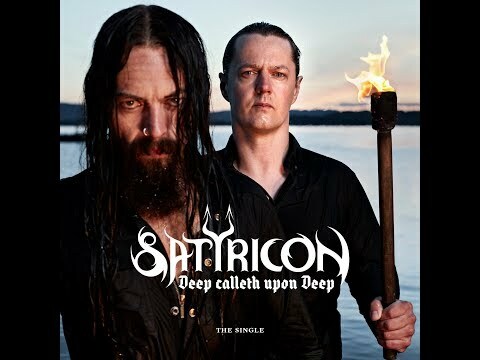 It´s hard edged, melodic, and epic. Tate was a world class singer already at this point, and delivers his distinct sounding vocals with both passion, skill, and conviction. Predominantly in a very high pitched and powerful fashion. The rest of the band are very well playing too. Pounding heavy metal rhythms and hard rocking riffs and solos. The first three tracks are hard edged rockers, while the 6:15 minutes long closing track "The Lady Wore Black" is an epic power ballad type track. To my ears "The Lady Wore Black" and "Queen of the Reich" are the two most memorable tracks off the EP, but both "Nightrider" and "Blinded" are quality material too. 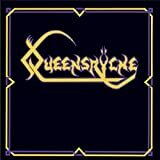 The sound production is raw, powerful, and pretty well sounding considering the time of release, so upon conclusion the "Queensrÿche" EP is a very promising start to the band´s recording career. It´s a quality release through and through and a 3.5 star (70%) rating is deserved. “Queen Of The Reich” was a minor MTV hit and immediately put the band and their newly adopted name QUEENSRYCHE on the metal radar, allowing this energetic band to snag spots opening up for bands like Quiet Riot, Twisted Sister and Dio. And in 1983 that meant huuuuuge exposure. I have always loved this debut EP and listening to it now, I still do very much. Although it does sound somewhat dated, it was an important release in the evolution of metal. Although hardly considered progressive at this point the seeds were planted to sprout a few years later. The original album only had 4 songs, but later releases included a 5th track “Prophecy,” which was recorded during the RAGE FOR ORDER time period but left out for whatever reason. This track actually plays quite nicely with the other ones and i'm happy I have a copy which includes it. In 1982, Seattle’s Queensrÿche released their self-titled debut EP to critical acclaim, laying the groundwork for their eventual breakthrough later on and this EP has since went on to be considered an all-time classic that all Queensrÿche fans really ought to try. 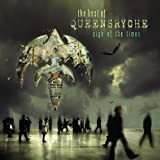 The release only features four tracks and only lasts about 17 minutes in its original form, but nonetheless it is still one of the best releases in the whole Queensrÿche discography. One of the best, assuming of course that you enjoy the musical direction, which is very much in the Judas Priest/Iron Maiden mold of classic Late-70s/Early-80s Heavy Metal with no prefixes or suffixes. With amazing high-pitched vocal shrieks and brilliant melodic singing too, big guitar solos and an impressive rhythm section underneath the great heavy riffs, the EP is brilliant on a musical level and perfect on a stylistic level should this be your sort of thing. 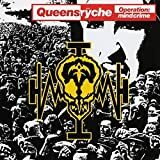 If you are hugely into progressive rock and only got into the band through that avenue alone, then there are better Queensrÿche albums to suit your needs, such as their conceptual Operation:Mindcrime album or their slow, eastern flavoured and saxophone-boasting Promised Land album, but any metal fan really needs to check this EP out as well. 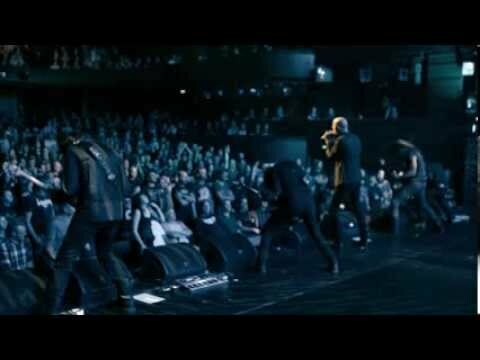 Opening with concert favourite ‘Queen Of The Reich’ and ending with the semi-ballad ‘The Lady Wore Black,’ the EP contains music just as good if not better than the material on their next few albums and worthy of inclusion in the same category as those other great early Queensrÿche songs. Overall, this EP is brief and filler-free, it is youthful and energetic, its musically impressive and assuming you like the Classic Metal sound, it is something you should at least try if you like the band on any level at all. 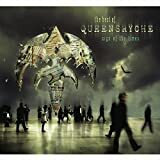 The brief but energetic deput EP from Queensryche shows little of the prog metal leanings of future releases, instead finding the band playing in a tight NWOBHM-influenced style, with the influence of Iron Maiden (and, to a lesser extent, Judas Priest) very much in evidence - particularly in the vocal delivery by Geoff Tate. It's far from being a top-notch EP but it's not one I'm sorry to own either, being competently composed and performed but lacking any blow-you-away standout moments which keep the songs fresh in your mind after you've given them a listen. Three and a half stars seems fair. 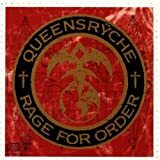 There are inklings of the later Queensrÿche originality on this EP, which contains five, if not always top notch, then at least solid 80s style - yet original - tunes (although there are some bloopers which were not fixed). 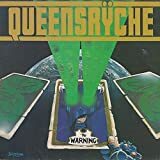 In any case, the Queensrÿche EP certainly deserves the classic status it has received, and tracks like "Queen of the Reich" and "The Lady Wore Black" are instant classics, which, despite the obvious 80s sound, have a quality of timelessness to them. 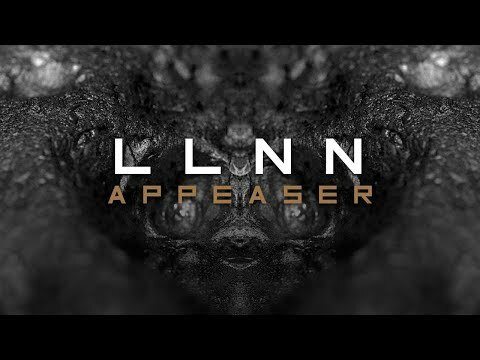 The remaining tracks may sounds more dated, but they are still quite good and, despite imperfections, a sign of the times to come for this band, who would end up progressive metal giants. Recommended to all fans of Maiden-style 80s metal. 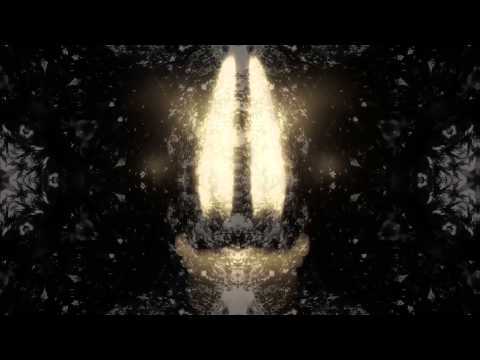 The raw talented new band that would make a huge impact in metaldom begins here. The tracks became legendary and I heard these on metal radio shows during the 80s. 'Queen of the Reich' is a bonafide classic with incredible high pitched vocals full of conviction and power. The riffs are brilliant on this and great lead solo work to savour. 'Nightrider' is a short blast of energy that delivers and gets out to make way for another 3 minute metal dynamo, 'Blinded'. 'The Lady Wore Black' is a slower track and extremely popular in concerts to come, a very good melodic chorus and wonderful vocal work from Tate help this to be ingrained in the memory. 'Prophecy' closes the EP and is another great track so overall this is a stunning debut and the band would go on to greatness from here. When I put Queensryche's debut EP back on for this review, I had forgotten how good this disc is. "Queen of the Reich" has to be one of the best metal songs of all time. The intensity, the dual guitar interplay (including perhaps the best early 80's guitar solo), and Geoff Tate's otherworldly vocals are what metal is all about. And while all the classic metal elements are here, there are also some nice little nuances that foreshadow that Queensryche is going to be a band that will push the envelope of the genre. All five songs are quite good. The third song, "Blinded," with its circular lyric falling and falling and falling and... is perhaps the most progressive on the album. Unfortunately, it's usually forgotten along with "Nightrider" as the "other songs" on the disc behind "The Lady Wore Black" (a fairly straightforward rainy night slow metal that will become a Queensryche staple). The closer, "Prophecy," is a good metal song added from the Rage for Order sessions for the CD re-release, and is typical of that album. There is a heapin' helpin' of cheese in these lyrics and the presentation is over the top in grand metal tradition. Watch the video for QOTR which is one of the worst, cheapest jokes of all time. Then find the video of the band playing the song live, and you realize just how powerful they were, pulling off the acrobatics seamlessly and if anything ratcheting the energy even higher. 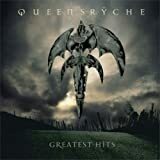 As metal albums go, this is the second album of Queensryche to obtain, and I give it 5/5 stars even though its only an EP. This one showcases a talented band exploding with youthful energy, playing their metal anthem at full tilt. 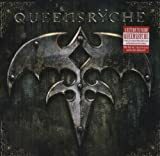 No QUEENSRŸCHE QUEENSRŸCHE reviews posted by members yet.